By phone: ring (03) 338 1080 and leave us a message. Although we don’t have a permanent receptionist, we do check and clear our messages every day. Leave us your name and phone number and someone will be in touch with you very soon. If you want to leave a message for one of our therapists, just mention their name and the message will be passed on. By email: just fill out the contact form on this page and click send. 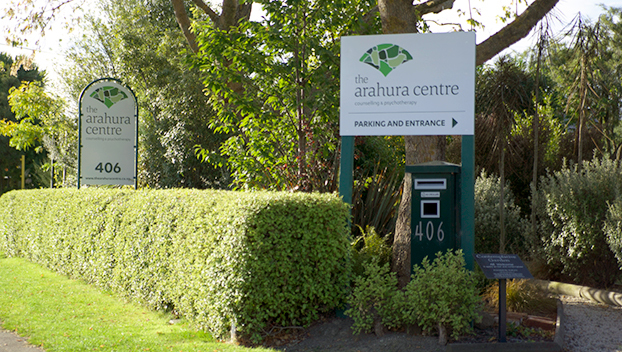 The Arahura Centre is located at 406 Barrington Street, Spreydon, Christchurch. Parking is available at the back of the building. The entrance to the Centre – including the general waiting room – is from the car park at the back of the building.